January 19, 2011 – One might describe 38-year-old Maryland artist Billy Pappas as stubborn, egotistic or even psychotic. Sure, he might be all three, but there’s one admirable creative quality that shines through the rest: driven. A lively tribute to art, to dreams and to life, WAITING FOR HOCKNEY illuminates both the perils and payoffs of one man single-mindedly pursuing his dream to its ultimate conclusion. Fueled by an intense study on human anatomy and exquisite attention to detail, or as Pappas describes, “working within the area of a period in a newspaper,” he devotes eight years and five months full-time to a single drawing hoping to create the “next major art movement in America.” After the completion of his portrait, he reaches out to renowned contemporary artist David Hockney, who Pappas believes is the one person that can determine his success in the art world. The film is narrated by Pappas and features interviews with friends, family and eccentric characters who support him in his risky endeavor, as well as trusted confidantes to Hockney himself. Because of Checkoway’s profession as a radio producer and reporter, WAITING FOR HOCKNEY was originally conceived as an audio piece. After consulting with several contacts in the film industry, she decided that the themes in Pappas’s story would be better served by a visual medium. While working with Pappas, Checkoway felt an instant rapport because of their compatible working-class background. 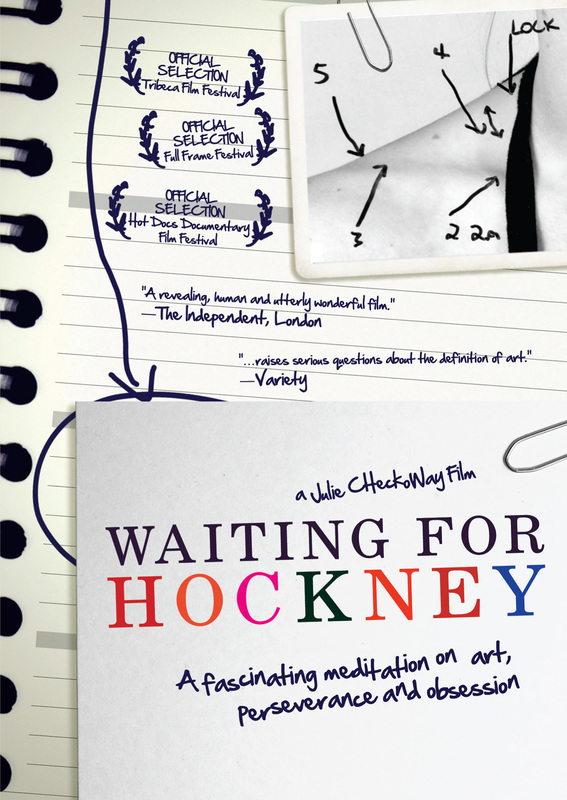 WAITING FOR HOCKNEY premiered on the Sundance Channel in November 2009 and was an official entry in more than a dozen film festivals, including the 2008 Tribeca Film Festival. 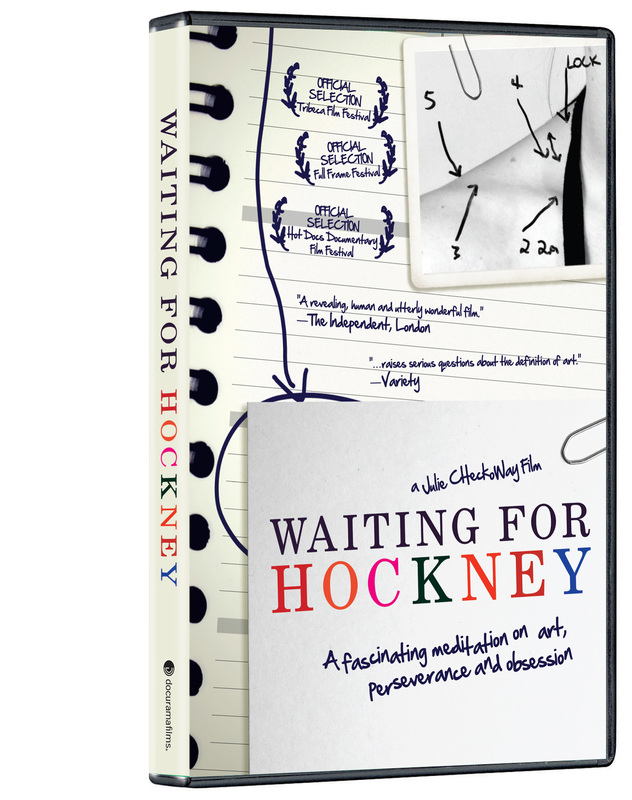 WAITING FOR HOCKNEY is directed and produced by Julie Checkoway; edited by Chris A. Peterson; written by Julie Checkoway, Chris A. Peterson & Neal Checkoway; executive produced by Michael Lesser.